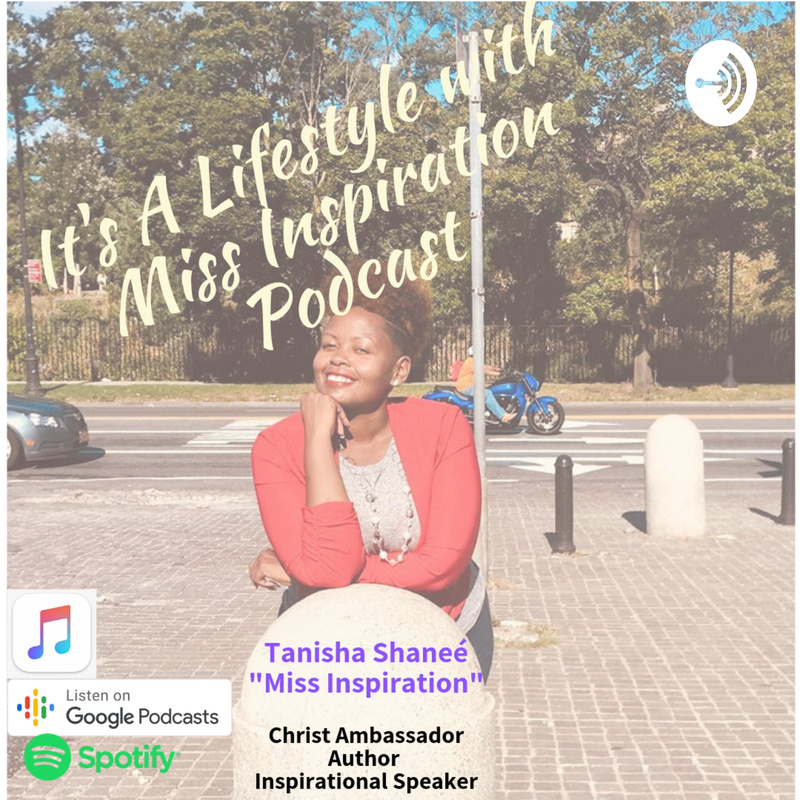 It's A Lifestyle With Miss Inspiration | Listen Free on Castbox. Tune in and hear from Christ Ambassador, Inspirational Speaker, Author, Tanisha Shaneé as she releases God Inspired Messages. Tanisha discusses topics such as Purpose Drive Lives, Singles Waiting for God Ordained Relationships, Healthy Lifestyles, and anything God places on her heart to release for those to follow. S2E3: #ItsALifestyle "Power of your Words"
S2E8 #DearSingleinLove "New Season Means It Is Time To Close Those Old Doors"
S2E6 #DearSingleInLove Stop Waiting For Boaz! S2E5 - #DearSingleInLove Stop looking for A MAN!